The Treasure Coast Classical Guitar Society is a community for classical guitar enthusiasts to promote appreciation of the classical guitar, provide opportunities for guitarists of all levels to meet and play together, and to sponsor professional concerts. Our board of directors is headed up by Rowdy Carlton. Other members of the board include vice-president Joette Giorgis, secretary Jan Wissmuller, treasurer Robert Swinton, Ann Ashworth, Bill Rice & Freeman Sherrill. The Sacramento Guitar Society is an active group of guitar enthusiasts that bring their love of the guitar to the Sacremento community in the form of hosting concerts, teaching guitar to underpriveledged youth, coordinating a guitar orchestra and being a regional directory for a whose who in classical guitar. The Rochester Guitar Club was formed in October 2006 with a goal of providing a social nexus through which local guitar enthusiasts could meet other enthusiasts, keep in touch, trade and play songs, and in general explore the music and many aspects of the guitar. The New Jersey Classical Guitar Society is an informal association of guitar enthusiasts who gather together once a month to play for one another. Meeting locations alternate between member's homes in Hopewell Borough and Madison. The Jefferson Classical Guitar Society is a public, non-profit organization dedicated to promoting the classical guitar in all its forms throughout the State of Jefferson, covering much of northern California and southern Oregon. The main goal of the Indianapolis Society of the Classical Guitar is to support and promote serious guitar playing and musicianship in the Indianapolis and surrounding areas. The Heart of Iowa Classical Guitar Society is an organization that promotes classical guitar music in central Iowa. They welcome non-players and players at all levels. Activities include concerts by internationally-known performers, master classes, clinics, and performances at local events. 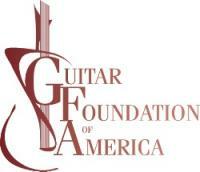 Founded in 1973, the Guitar Foundation of America (GFA) is America's leading guitar organization. The GFA provides its members the combined advantages of a guitar society, a library, a publisher, a continuing educational resource, and an arts council. Today the GFA is the largest multinational guitar organization; providing serious guitarists worldwide a full range of educational, literary and performance resources and opportunities. As China's most comprehensive guitar music web site, GuitarChina is based on e-time and has a vision to popularize guitar arts, promote guitar music, widen access on the internet for more people to understand and enjoy guitar! GuitarChina is the platform of choice for guitar fans to promote their guitar life, GuitarChina disseminates guitar culture, and contributes to the guitar industry in China! From Bach to Blues, Flamenco to Folk, the Society provides guitar enthusiasts with unique opportunites to hear and play the guitar in intimate settings throughout Connecticut. The Connecticut Guitar Society is a non-profit presenting arts organization. It is the largest organization of its kind serving the general public and classical guitarists by providing a forum for listening, learning, performing and teaching. The Asheville Classical Guitar Society (ACGS) was formed in Asheville, NC to provide a forum for local guitar students, enthusiasts and professionals, to encourage and promote performance and study of the classical guitar, to produce public concerts by outstanding professionals, and, where possible, master classes, and advance public awareness of classical guitar music.